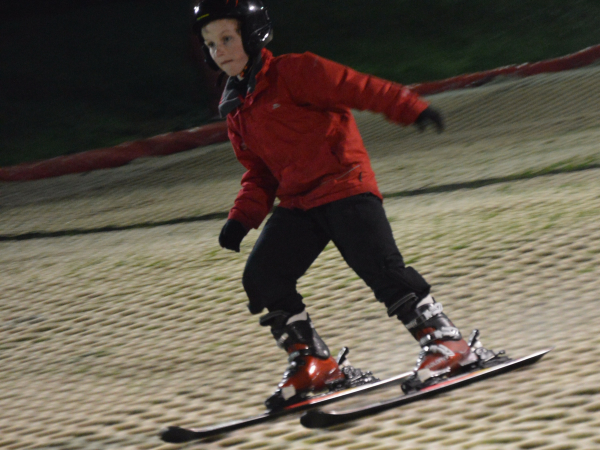 Put on some skis and experience the thrill of the slopes – whether that’s dry-slope skiing at Activity ABC ski facility at Craigavon Golf Ski Centre or hitting the piste abroad. Once you’ve experienced it, you’ll never look back! As well as increasing your heart rate, skiing can also help you to burn around 3,000 calories during a 6 hour day on the slopes. It works all of your muscle groups and is great for your core stability. What better way to get fit and healthy than spending time outside on the slopes. 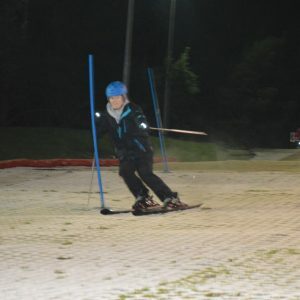 The centre is open throughout the year and offers skiers of all levels and ages the facilities to practice and learn new skills. Tuition is provided by highly qualified instructors along with excellent modern equipment for schools, clubs, groups, families or individuals. 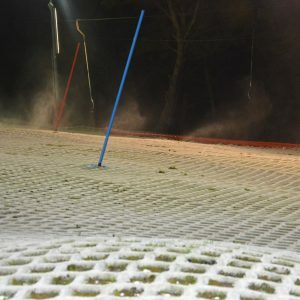 The lesson programme is broken down into levels to help you progressively cover the skills needed to become a proficient slope user from beginner to advanced. 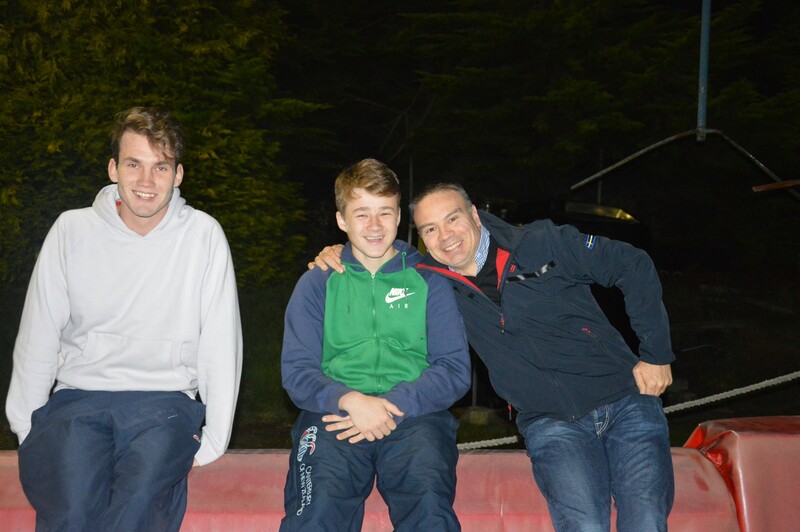 Our dedicated team of Alpine Star Instructors are experts at keeping the tuition fun & interactive. We run two different groups each session based on age, for a variety of ability levels. The lesson program follows the snow life awards. Its great fun for the kids to progress through the groups as they develop their technique & understanding. The penguins groups start at the penguin’s starter lesson and work their way through the program while the older alpine juniors start the program at level 1. Learn a new sport and make some friends during the school holidays (December) at the golf & Ski centre. Complete beginners will be shown, at a comfortable pace, . 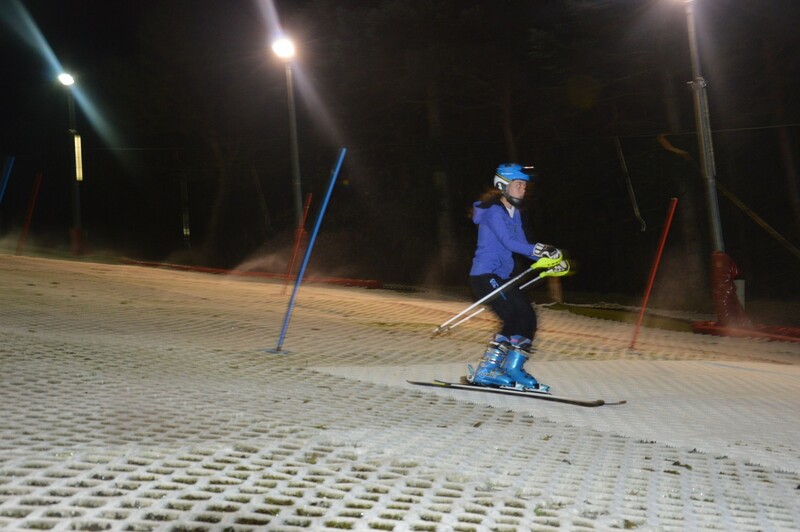 The Junior Ski In A Day courses are fun packed days tailored specifically to suit the needs of juniors aged 11 to 16 years. 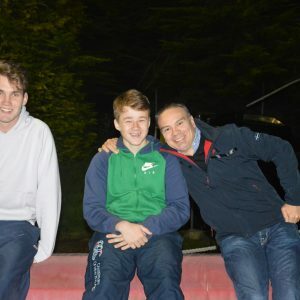 Each course includes supervision and tuition from a fully qualified golf & ski centre instructor plus a 30-minute tubing session, hot lunch and refreshments all included. If you’ve never put a pair of ski boots on before, you’re in safe hands! Our instructors will be with you every step of the way. You’re well on your way to learning to ski now. 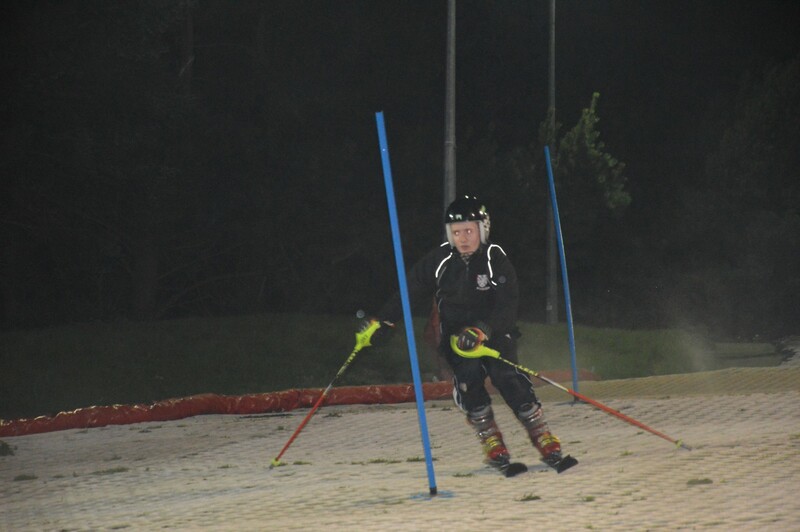 Our instructors will help you to continue progressing and using the button lift and perfecting your skills ensuring you’re having fun every step of the way. As a beginner, you have the option to take each level at a time (level 1-4) or do a full course of the three in one. Levels 1-3 are available as a full day lesson. An intense but fun day taking you from beginner to skier! The Day Lesson is a group session (max 24), including 6.5 hours of tuition, covering beginner levels 1-3 with lunch & refreshment breaks costing £80. 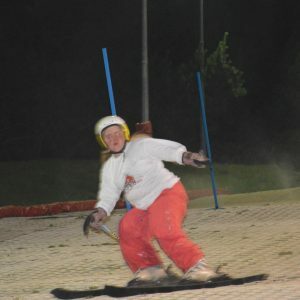 In this course, you will focus on balance and posture, how to control your speed, introduction to turns and how to use the button lift. We will be with you every step of the way, from putting on a pair of ski’s for the first time to completing your first run of the beginner slope. Each level is a seperate 2 hour course completed in one night. These levels run every Tuesday night throughout the season (November – April). Maximum of 12 pupils per lesson and costs £25pp. 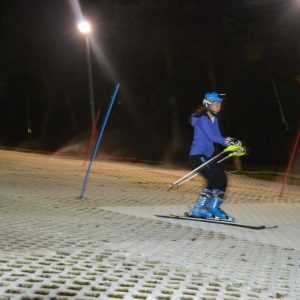 Private ski lessons are a popular way to learn and develop your personal skiing ability, whether it’s an individual lesson or group lesson, our experienced and dedicated instructors will take you through your first steps in skiing or improve your existing skills on the slope. 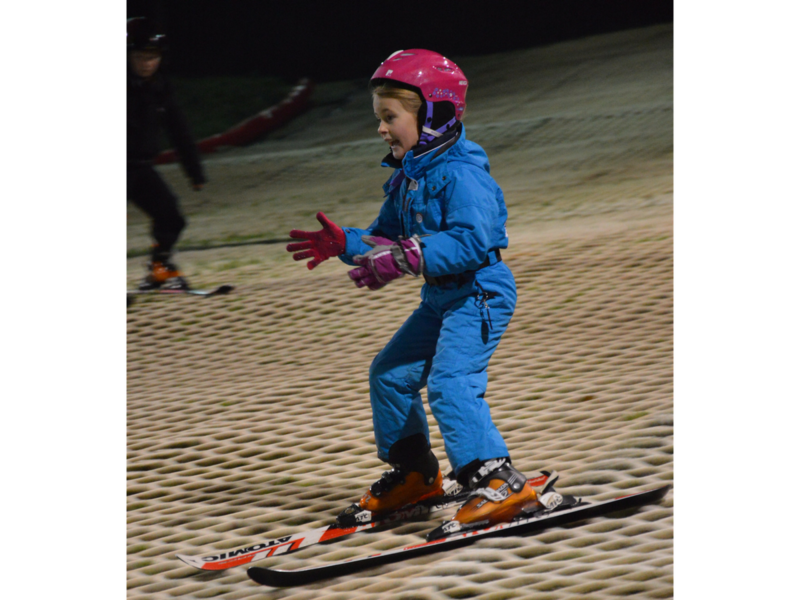 Group lessons of 5 – 12 people are the best way for larger families and groups of friends to learn to ski, while having fun in a safe structured setting to gain ski experience or to further your skiing ability. 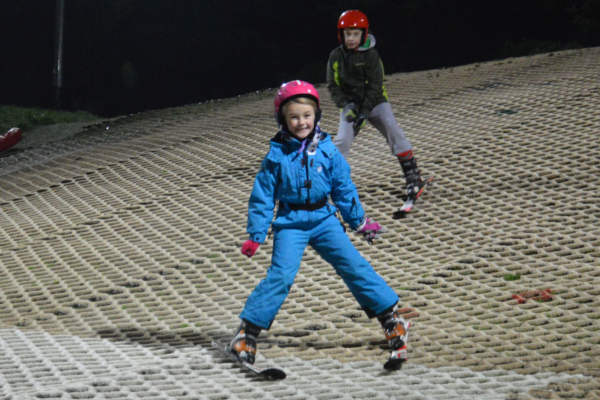 Our Family Taster session is specifically designed for families to experience skiing for the first time. This introductory session is an open session for families who want to try the activity before committing to courses. We run two different groups side by side based on age. 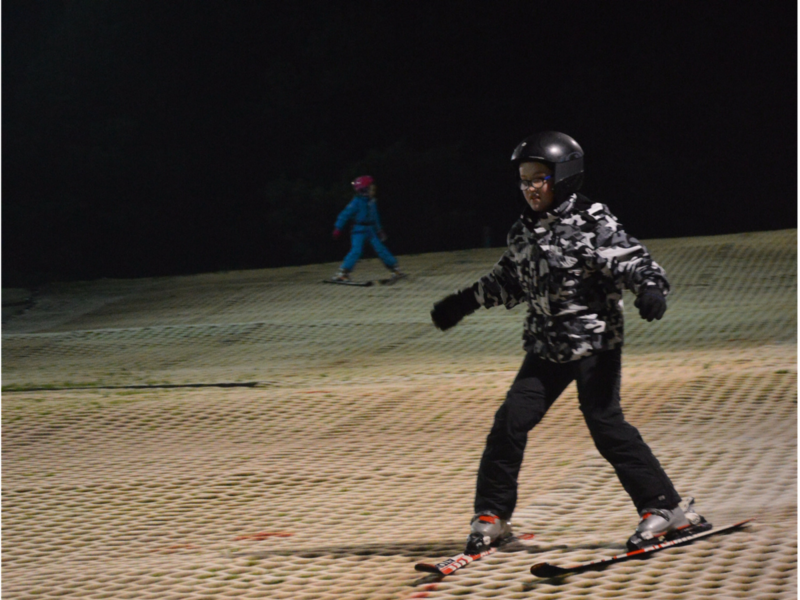 Each group will have their own instructor to suit the ability level for each age group. 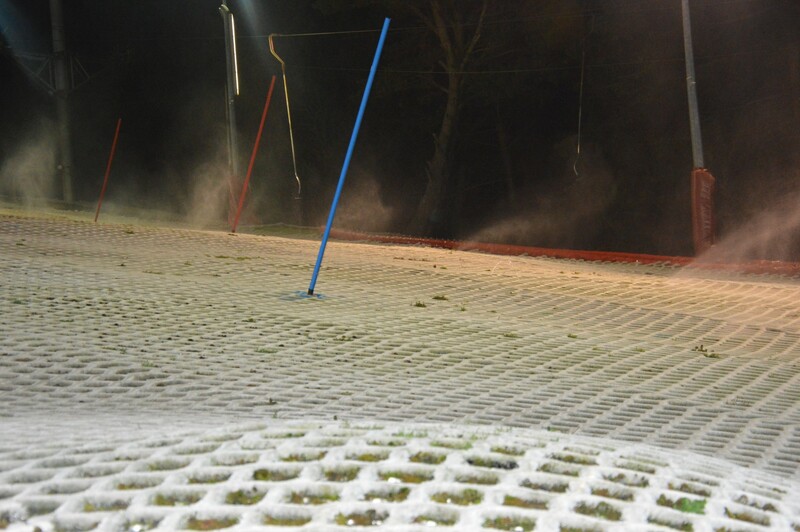 Open practice is available for skiers and boarders to use our main slope, without tuition, It is available to experienced skiers and boarders. Sessions last for 1 hours. 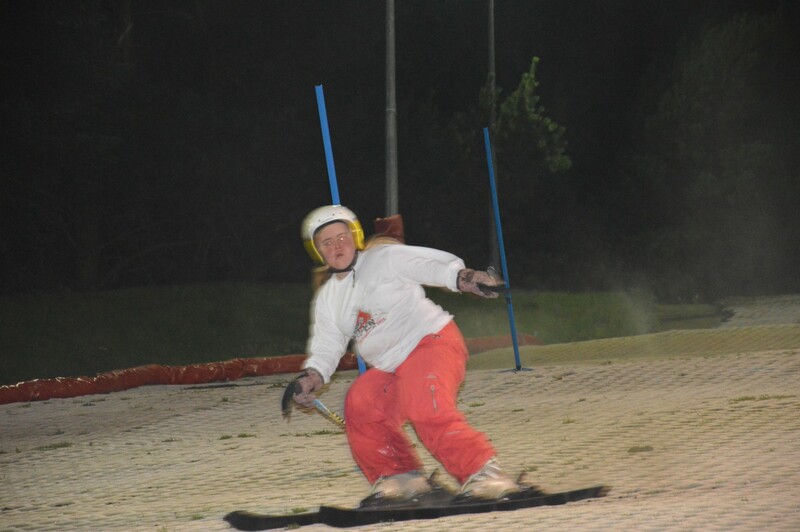 For the enjoyment and safety of all of our customers, anyone wishing to enjoy the main slope without tuition must be an experienced slope user who meets our minimum skill level. Therefore, you must be able to use the lifts, control your speed/direction, perform controlled linked turns and be able to fit your boots correctly. 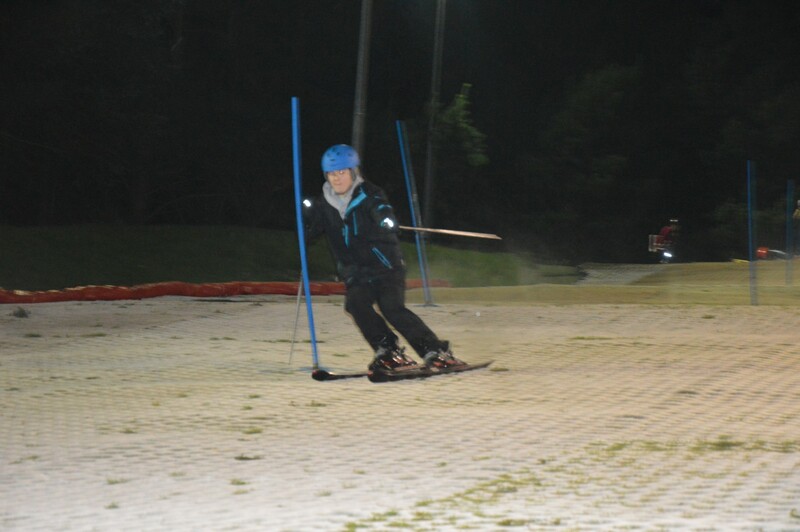 Be able to control speed and direction from the first get off point of the ski tow. Be able to perform control linked turns. Failure to meet the minimum requirements or any person skiing/snowboarding dangerously will be asked to leave the slope without a refund. 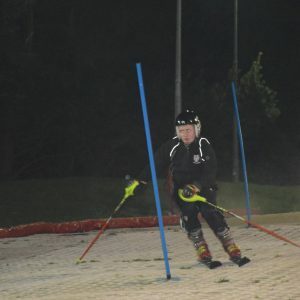 At the Ski Club of Northern Ireland our aims are to develop the skills of competent junior skiers with particular focus on improving technique, an introduction to and progression in slalom ski racing and most importantly, enjoyment of skiing. The club meets twice monthly from September to April and welcomes children from age 8 to 18 years. For more information, please contact Richard Wait on 07901955765. Find our Frequently Asked Questions here! Questions about what to wear on the slopes? See What to Wear! Where do you get your equipment? Click here!